Reporters Without Borders today said it considered Chinese blogger Hao Wu to be the victim of state abduction as more than two months have gone by since his arrest without his family getting any news about him. His lawyer has not been allowed to see him, but has been told his client is now in a state security “guesthouse”. In a message posted on her blog (http://spaces.msn.com/wuhaofamily/blog/), Hao’s sister, Na Wu, said she had hired a lawyer who asked three questions during an interview with the Public Security Bureau on 21 April: why his client is being held longer than allowed by the law, why the authorities refuse to inform his client’s family, and why they refuse to let him see his client, which they should have done within the first 48 hours of his arrest. The Public Security Bureau replied that these were just “misunderstandings.” Hao was no longer in detention, he was under “house arrest,” the bureau said. At the same time, the case was “classified,” which explained why no information had been given about the charges against Hao and where he was being held. Finally, neither Hao’s family or his lawyer had been allowed to see him because they had not formally requested it, the bureau added. Na said she has never been directly notified about her brother’s arrest. The classified nature of the arrest is completely new and has never previously been mentioned by the bureau. The comments of Hao’s lawyer are also posted on her blog. He said Hao should have been placed under “house arrest” no more than 30 days after his arrest. Calling the case “classified” was just a pretext for not disclosing the charges against Hao, he added. Hao has a blog called Beijing or Bust in which he writes under the pseudonym of Beijing Loafer. He is also the North-East Asia editor of the website Global Voices, to which he contributes under name of Tian Yi. He was arrested on 22 February while preparing a report on China’s underground protestant churches. Back in Shanghai, I really wish I could clone myself. One minute I am discussing investment with my colleagues, the next minute I am answering calls from caring friends. In the evening, I end a meeting with my department, and then attend another one with people in the industry to discuss the industry’s direction. When I finally step through the door to my home, my eldest Aunt calls; she had met with my parents that afternoon and tried to describe my little brother’s situation in the most positive way possible. She said my mother walked her to the door and seemed calm enough. I hid my agony; the more composed they seem, the more overwhelmed they actually are. Sure enough, they called me a few minutes later, speaking with heavy nasal sounds. I know they have been hiding their grief, only showing their true emotions in front of their daughter whom they can trust. It’s odd how I am usually gripped by despair whenever someone mentions little brother, yet this time I was surprisingly calm on the phone. I gathered all those consoling words that other people tell me and fed them to my parents, and I tried to make light of little brother’s situation. In fact, as I try to convince my parents to believe what I say, I am also trying to convince myself to believe that little brother will be okay. My parents and I believe in my brother’s judgment, but they have experienced the difficult times of the past, so they can’t help but see the present situation with pessimism. When I think of my parents’ burden, I straighten my spine, as I now have two other people’s hope on my shoulders. Friends tell me Bloomberg News of April 19 and the Washington Post of April 20 both mention Haozi’s case. Friends have joked that Haozi has become a “celebrity”. I can only laugh bitterly; who wants to become this kind of “celebrity”? Here is the link to the Washington Post article: Shattering the China Dream. Day 36: Hao’s sister is blogging. Ever since I found “Where is Hu Jia?” (http://spaces.msn.com/zengjinyan/) on Google, Jinyan’s blog was a rest stop for my soul. I would often read her diary and the comments following it, sharing her joys and sorrows, as I too had experienced the pain and confusion after the disappearance of a loved one. Now, Hu Jia has returned. I am wholeheartedly happy for [Jinyan] and her family, and I will continue to search for my brother. With the support of my friends, I believe that I will also wait for the day when I can smile again. I had never thought that I, after becoming an adult, would write anything besides research reports and investment records. In high school I experienced the embarrassment of someone secretly reading my diary, and I also read and heard many stories about diaries during the Cultural Revolution. After twenty, I stopped trusting the pen to record my own thoughts and feelings. Perhaps because work is so time-consuming, I only knew about the most popular blogs on the Internet, but I had never visited one myself. After my brother disappeared, I visited his blog, Beijing or Bust (spaces.msn.com/chinafool/), for the first time. Once I started I couldn’t control myself, and read his stories one after another. My own writing has always been weak, and composition gave me even more of a headache. But now I believe that true feelings will leap onto the keyboard, as I type out the characters of my family and friends who miss Wu Hao. These feelings do not require eloquence or adornment. They just need to be faithfully recorded. I hope it can fill in for the “I love you, brother,” that is usually so hard for me to say. When I heard that the repeated promises of a deadline for my brother’s release from the previous employee in-charge were just “one of the working techniques” I nearly burst with fury. Why didn’t they dare to write it down? I needed to vent my anger, but finally I just ran out sobbing. I couldn’t make trouble for the insignificant guard and staff. In vast Beijing, finding a place where people can talk sense and speak clearly is terribly difficult. In the evening, while eating dinner with friends, I found out that a friend had a terrifying experience this afternoon. He tried calling me and J for a long time, but the call wouldn’t go through. He worried that we had had an accident. Thankfully, he persisted in dialing the number until the call went through. Only then was his mind at ease. It was strange, because at the time I was in XXXX’s [sic] hall, where the cell phone signal was excellent, but my phone didn’t ring. I checked the call record but there were no missed calls. Why didn’t it go through? I thought about it and realized that other friends also complained that I wasn’t answering my phone. Very fishy. Finally, like a martyr saying her final words, I gave my friends contact information for my husband and my former employer. I felt disconnected from reality, like in a novel. Would anything really happen? I had thought that a person disappearing without a trace was something that only happened in novels, but hadn’t that already happened in real life too? I had to give my daughter a call. When she said “Mommy” over the phone, my tears began to flow again. As she, completely unaware of what was happening, excitedly reported her dancing achievements and progress in class, I was silently apologizing to her. Mom has been missing too often. Mom really wants to hold your little body, share every little thing that happens at school, and read to you. I hope that everything ends quickly, and your uncle can come back soon. Then Mom can hold your little hand again. Thank you, Huang. I did not want what happened in my life to disrupt the lives of my friends, but you still learned that information from the World Journal Even if you can’t help, your phone call let me feel the warmth of friendship in the cold Beijing spring. A half-dozen friends and colleagues who have known Mr. Wu for about 20 years, both in China and the U.S., describe him as outgoing and principled and said he hasn’t had problems with drugs or the law. What might have spurred the arrest, they said, is the film Mr. Wu had been working on for several months about underground churches. They said that on Feb. 24 Mr. Wu’s editing equipment and several videotapes were removed from his apartment. Will the public campaign to win Hao Wu’s release work? The timing might be right. Chinese President Hu Jintao will soon be visiting the U.S., a trip that was supposed to take place last September but was put off because of the Hurricane Katrina catastrophe. The Chinese government very much wants this visit to go well, so the leaders might decide that letting a lone blogger go free in the lead up to the summit might be an easy way to score some points. Associated Press reporter Alexa Olesen: China not giving details about filmmaker. One week after Wu Hao disappeared, officials at the Beijing Public Security Bureau told Wu Na her brother was being investigated but could not be visited by a lawyer. They also warned her not to talk to the media. Editing equipment and several videotapes were removed from Wu Hao’s Beijing apartment on Feb. 24, according to a Wednesday statement by the CPJ. 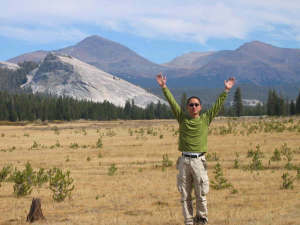 Wu Hao lived in the United States for 10 years before returning to China in 2004 to make documentaries, the group said. BEIJING (Reuters) - Chinese police have detained a Chinese-born film maker who is a permanent U.S. resident, a family member said on Monday, weeks before President Hu Jintao visits the United States. Hao Wu, who returned to China in 2004 after living in the United States for 12 years, had been missing since February 22 after interviewing human rights lawyer Gao Zhisheng, while making a documentary about an underground Christian congregation, his sister, Wu Na, said. An officer at the Beijing Public Security Bureau confirmed Wu’s detention last week, but declined to give a reason or say where he was being held, she said. The petitions office of the police station reached by telephone declined to comment. No formal charges have been laid, although Wu’s sister believed the detention might be related to his contact with Gao, who has been suspended from practicing law, or possibly to outspoken comments on his personal Web log. China routinely blocks access to Internet sites on sensitive subjects and rules introduced last year target Internet news content to tighten the noose on freewheeling bloggers and rein in a growing source of information. “I don’t think it is related to his filming of the underground Christians. I think it is related to the lawyer or being too open on his blog,” the sister told Reuters. Wu’s apartment was raided and filming equipment, video tapes, computer, personal diary and other effects taken away, the sister said. Police interrogated Wu’s house-mate days later. The sister said Wu had phoned her three times since his disappearance and sounded depressed during the last call. “I’m very worried about his emotional state,” the sister said, adding that police told her to return to Shanghai. Wu did not say why he was being held. Wu did not want a lawyer and appeared unable to speak freely, the Paris-based press watchdog Reporters Without Borders said. We have only spoken to him on the phone three times. And each time, it has been he who has called, because we still do not know where he is being held. During these conversations, he tells us that everything is OK and we must not worry. He even said that he didn’t want a lawyer. But it was obvious that he could not speak freely. I went to the police station several times. They refused to give me a paper confirming the arrest of my brother. The first time they told me that he would be coming out within a few days. The second time, it was a few weeks. And now they tell me that I will have to wait another month. We have the right to know what is happening to him. He has done nothing that could harm society and there is no reason for him to be detained. A: Until now we have not received any explanation as to why my brother was detained, or when I can see my brother. The police and other government departments aren’t able to give us any direct answer. Q: Did you talk to the State Security Bureau? A: I went to their door but was not able to enter. Because the Beijing Public Security bureau and the Beijing City office of the State Security bureau have their signplates over the same building. So since I couldn’t go in I went to the public petitions office of the public security bureau. They had an officer in charge of the case talk to me on the phone. He said that things were moving in a positive direction and I may be able to see my brother quite soon. But when I asked how soon they weren’t willing to give me a specific time. After the phone call was finished the policeman in the petition office told me, I can definitely tell you that your brother has been detained. A: That was on March 20th. It was just recently. Then they said the ongoing investigation involved state secrets so they couldn’t tell me. That was the kind of answer they gave me. From the perspective of our family, we believe that my brother has not done anything to harm other people and has not done anything harmful to society. In his film that he was making or in the other things he did, there was nothing that challenged the government’s power or anything like that. As family members we cannot understand why the government is holding my brother. Q: What methods are you using to get him released? A: We are working with a lawyer and through lawful channels to get answers. Second we are hoping to use various public channels to continue searching for my brother, and to send the message that since they have no good reason to hold my brother, they should release him as soon as possible. I do not know Cantonese and am unable to translate the newscaster speaking before and after the interview. It may include other information which others are welcome to add in the comments section of this post.